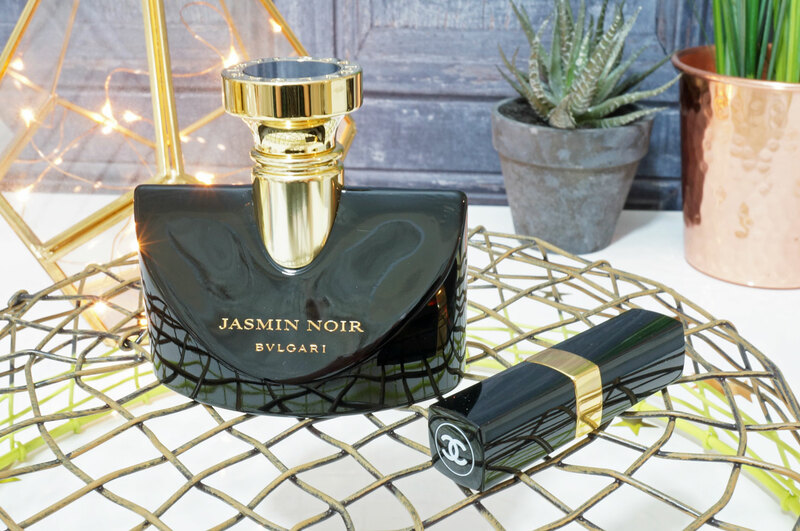 Following on from yesterday’s little Jo Malone beauty, I have another gorgeous fragrance to share with you today – this is not a new perfume by any means, but Bvlgari’s Jasmin Noir is new to me, and definitely worth a mention. The scent itself reminds me very much of Tom Ford’s Black Orchid – in terms of depth and volume rather than actual fragrance. This is definitely a heavy scent, perfect for evening, sophisticated and glamorous. Described as a ‘dualist’ fragrance, incorporating both feminine and masculine notes, Bvlgari’s Jasmin Noir is intense, seductive and heady. I could also describe it as overwhelming, as I did go a bit overboard with my first application! This brings up the point that this is an Eau de Parfum, meaning it’s a very concentrated fragrance, and a little will definitely go a long way! Jasmin Noir opens with sparkling notes of green sap and delicate accents of gardenia petals. It has heart notes of sensual Sambac jasmine combined with the velvety tones of satin almond – a unique accord created exclusively for Jasmin Noir. Intense woody notes characterise the base of the fragrance. The licorice of the intense, persistent perfume blends with the warm and velvety tonka bean absolute and precious woods that suffuse an irresistibly sensual aroma, evoking the magic atmosphere of dark, mysterious woods. 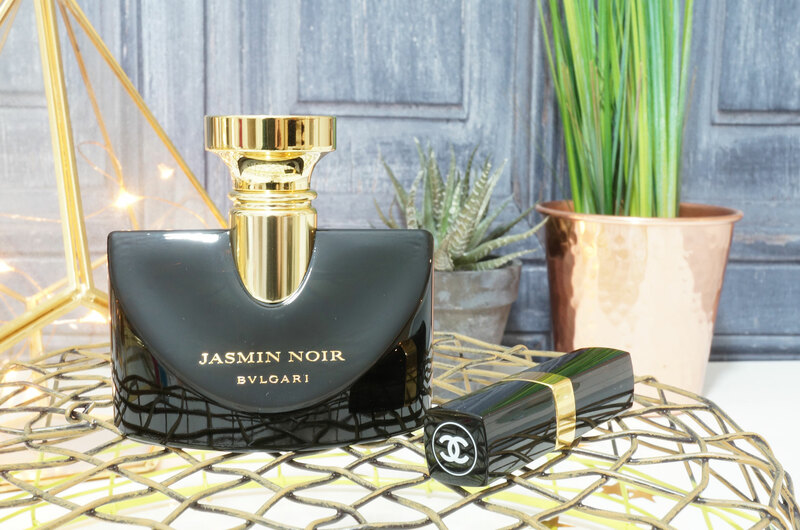 Jasmin Noir is complex and alluring, the contrast of jasmine with heavy, woody notes gives the fragrance a volume and richness that you can’t overlook. I think this something you will either love, or hate depending on your taste. If you’re a fan of woody / floral scents though this is definitely worth checking out. Bvlgari Jasmin Noir EDP is available now from House of Fraser from £65.00 for 50ml.